The protagonist, Lily, is patterned on Fanny Price in Jane Austen's Mansfield Park. It's about her journey, musings, and what she was searching for in life. Lily gets fired from her job and winds up in England at a literature festival. 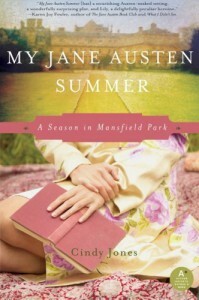 The characters seem a little odd until you realize they are well-done modern day Austen characters. This is a excellent read for anyone interested in Jane Austen.